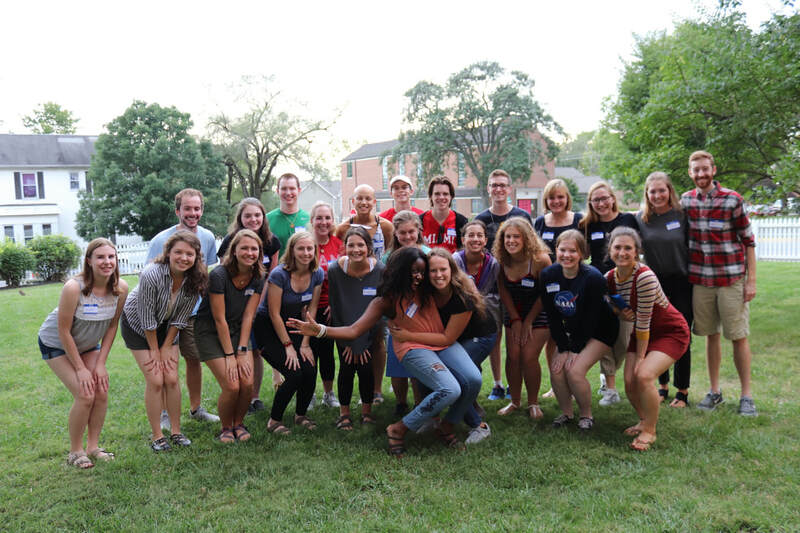 Miami students and resident parishioners have an opportunity to spend either an evening or a weekend of group interaction, personal reflection, food and fun. Every fall we host separate retreats for men and women. It offers a time to socialize and build friendships. The St. Mary Freshman Retreat is a great opportunity to build strong friendships and grow deeper in your faith as you settle into college. The 2019 Spring Pharos Retreat will take place April 5-7th at the Spiritual Center of Maria Stein and Montezuma. This year we will be staying in the Montezuma Center! The St. Mary Pharos Retreat is a great opportunity to take time to reflect upon your relationship with God and to grow deeper in your faith while building strong friendships with your peers. All students are welcome to sign up to attend. Registration cost is $50. Because Spring Break is so late this year, payment will take place BEFORE Spring Break. You may pay via Venmo (@stmoxchurch), a check made out to St. Mary Church, or cash turned into the parish office by March 22nd at 4:00pm. Scholarships and financial aid are available - contact Pam if interested (pburk@stmox.org). Please note your registration form is not complete without payment. **Due to the large volume of meals served as well as varying diets, the retreat center is no longer able to make special meals for dietary needs. The center's management requests that those with diets such as gluten free, vegans, vegetarians, etc. to bring your own foods to supplement what is already being served in the dining room. Food allergies must be shared at least one week in advance. Registration will close March 22nd so register ASAP!